Neil Grant takes his pizza very seriously. The man behind Burrata, a brightly modern restaurant within Cape Town’s Old Biscuit Mill development, went to quite amazing lengths to create the perfect crust, importing an oven from Naples that is able to reach 480℃ and cook a pizza in less than 90 seconds. Throw imported flour and tomatoes into the mix and you have what is beyond doubt the best pizza in Cape Town and likely the best in the entire country (possibly the continent), with a puffy flame-blackened crust and light crispness. The supporting dishes don’t fall by the wayside thanks to the considerable talents under the guidance of executive chef Evan Coosner. The team brings accuracy and a degree of refinement to Burrata’s rustic dishes. 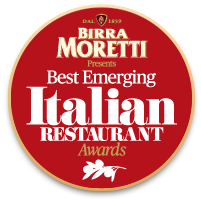 Burrata won the prestigious The Birra Moretti Best Emerging Italian Restaurant Award in 2012. The interior takes its design cues from the trendy restaurants of New York City’s Meatpacking District with the wine cellar and the kitchen both in full view. The clear centrepiece is the aforementioned wood-burning oven which also fills the space with a delicate smoky smell. Grant, a founding member and past chairman of the South African Sommeliers Association, maintains the regularly changing wine list with the help of Spencer the front of house manager. No descriptions are given to encourage customers to tap into his staff’s encyclopedic knowledge of the country’s regions. Italy-inspired cocktails round off this highly appealing package.